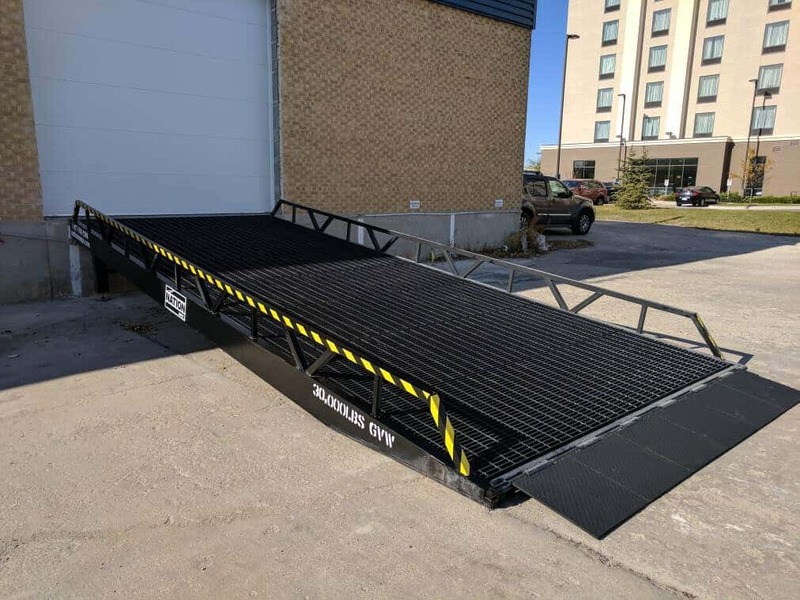 The Ground to Dock ramp/Warehouse Loading Ramp design allows for forklifts, vehicles and personnel to travel with ease from ground (grade) level up to warehouse dock high levels. 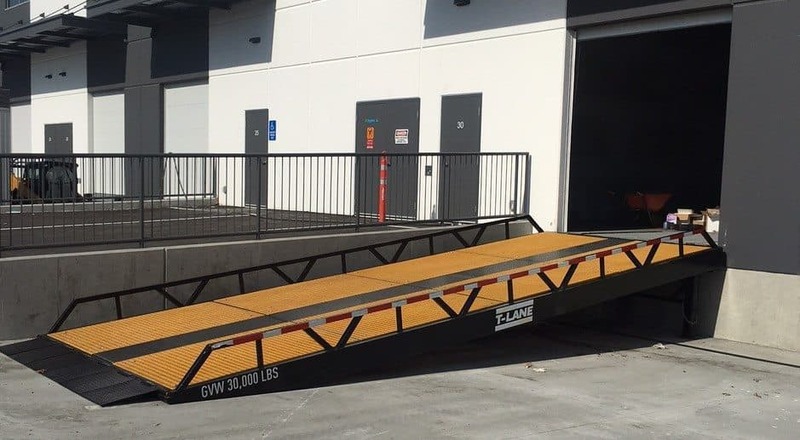 - Built for forklifts, cars, trucks & any other equipment. - Customizable to suit each client’s needs – Height, Width, Capacity & Color. 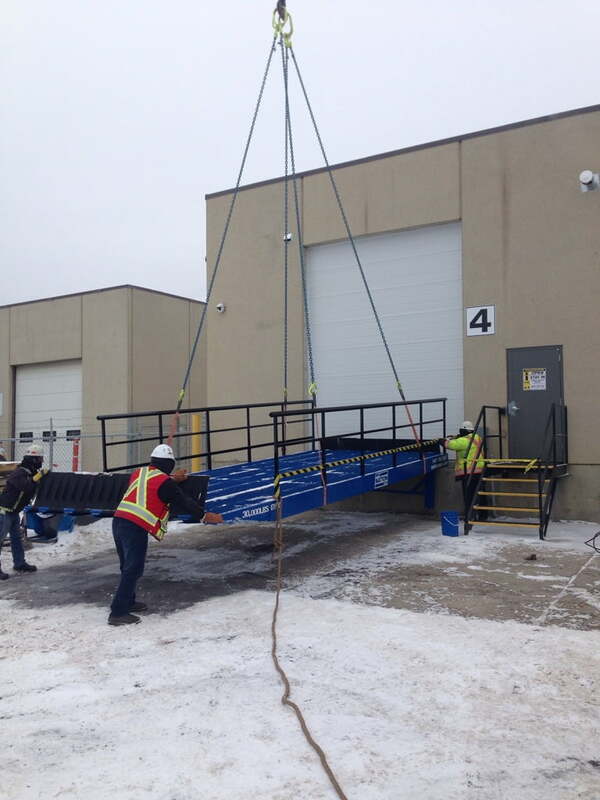 - Built to meet all safety code requirements in Canada and the USA.